This is the type of meal you would see on the menu at a local diner. In fact I would order these Hot Roast Beef Sandwiches at Marie Callender’s when I worked there years ago. Marie Callender’s would often run these as a lunch special. 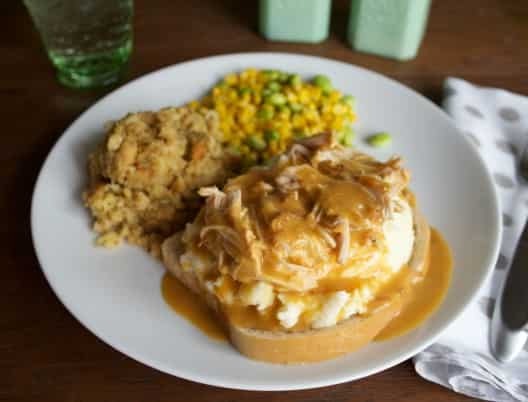 This meal is heaven on a plate, bread is placed down, then beef and gravy piled on, and always served with mashed potatoes. I believe that sourdough bread is usually used for this meal, but I LOVE Grandma Sycamore’s Homemade bread. I buy it Fred Meyer, it really tastes homemade. You can find it near the Wonder bread. Adding this meal to the slow cooker in the morning is easy peasy, just dump and go. No browning required, though if you have time and would like to brown the meat, go for it. 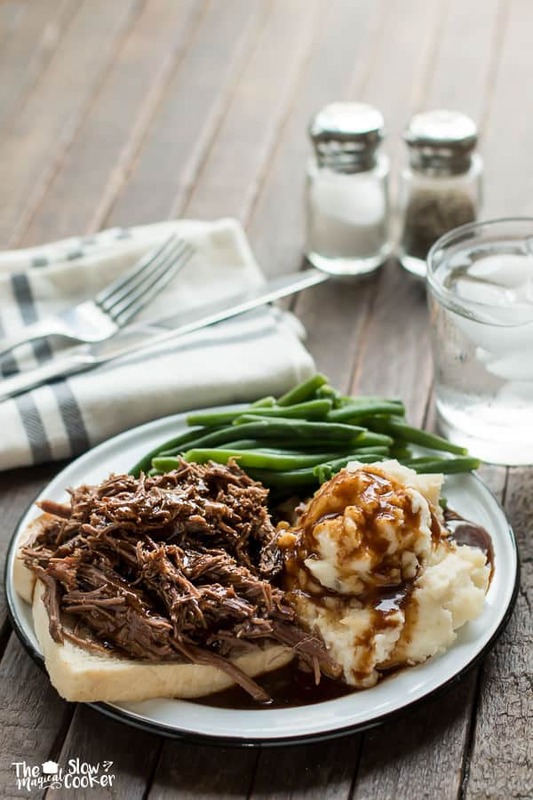 I used a bottom round beef roast for this recipe, that is my go to cut of meat lately. It shreds up nice, and has way less fat to pick out before serving like a chuck roast does. Who wouldn’t want to come home to this meal?! I served it with mashed potatoes and fresh steamed green beans. 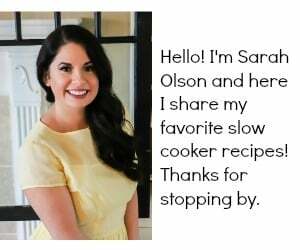 I used my 6-quart slow cooker for this recipe, though it would fit in a 4-quart or larger. 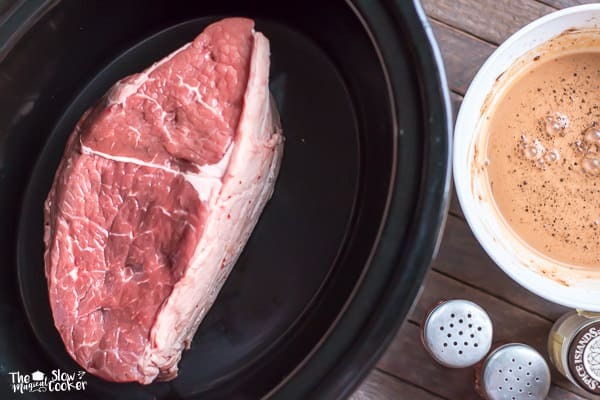 Place the roast into a 4-quart or larger slow cooker. Sprinkle a small amount of salt, pepper and onion powder on to the beef. In a small bowl whisk together the gravy packets and water until smooth. Pour that mixture over the roast. When the cooking time is done, remove the roast and place on to a plate, shred meat, discard any fat. Cover with foil to keep warm. De-grease the gravy in the slow cooker, I either do this by ladling off the grease with a spoon, or I take a paper towel and lay on top of the grease and pull off, the grease will come off on the paper towel, and the gravy will stay in the slow cooker. 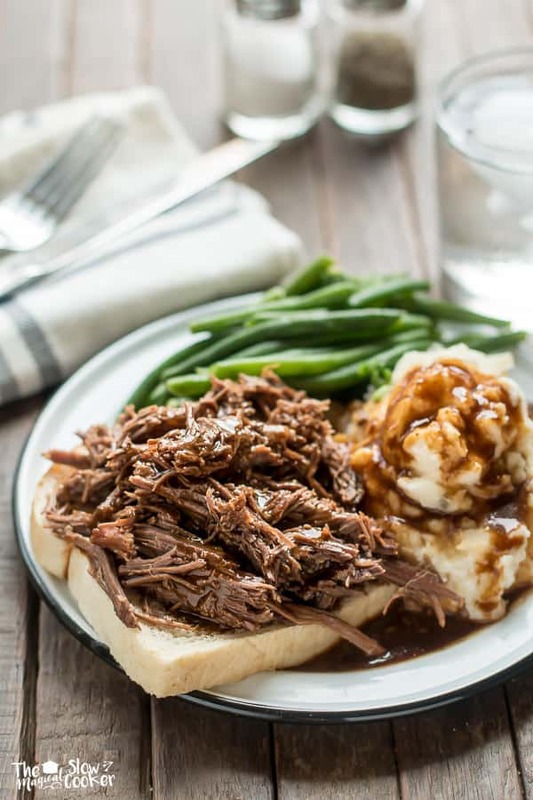 Serve the shredded beef and gravy over bread and with mashed potatoes. 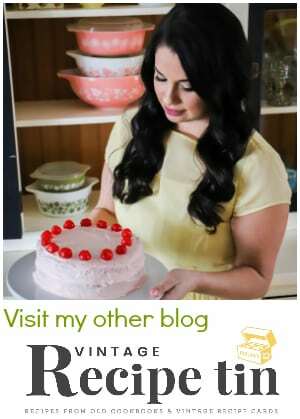 I’m excited to follow your recipe blog. 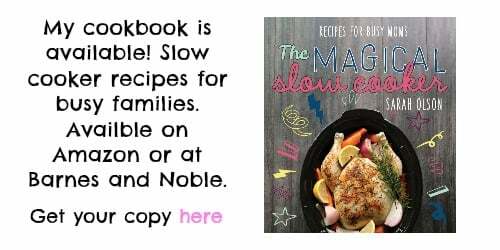 Love both the chicken and beef gravy recipes. I love making open faced sandwiches with my leftover roast beef. YUMMMM. Boy did this bring make some wonderful childhood memories! This was my favorite meal on those rare occasions when we would go out for dinner. Can’t wait to try this idea! How weird is this? I have this meal in the crockpot as I type! Yesterday, I found some bakery sourdough bread and it reminded me of open-faced sandwiches lol. The memories of leftover hot roast beef sandwiches growing up are priceless. Can you use pork gravy with eye round roast? And could you use beef broth instead of water? I think the broth may make it too salty and perhaps make your own thicker gravy from scratch after straining the liquid from the crockpot. 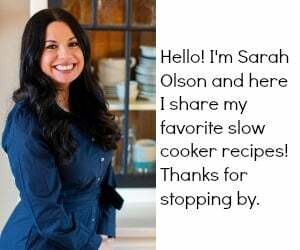 Hi Sarah, thanks for sharing this super easy recipe! I’ve made it several times already and we are never disappointed. I even made it in the RV when we were on a vacation, I barely had to left a finger and we had a fabulous meal on the road, everyone was in heaven with a savory pot roast dinner in the middle of the woods! I skip the bread but always make mashed potatoes and I usually make more gravy than it calls for so we can smother everything in it! I’ve passed it on to many friends too, share the love, right! Thanks again and keep up the creative cooking, we love it. So great to hear Caroline! We crock pot (or dine out) in the rv only! So easy. Total cook time 8 minutes? Defeats the meaning of a slow cooker. 🙂 You may want to correct the time from 8 minutes to 8 hours. Either way, I am making this Friday for our card game! 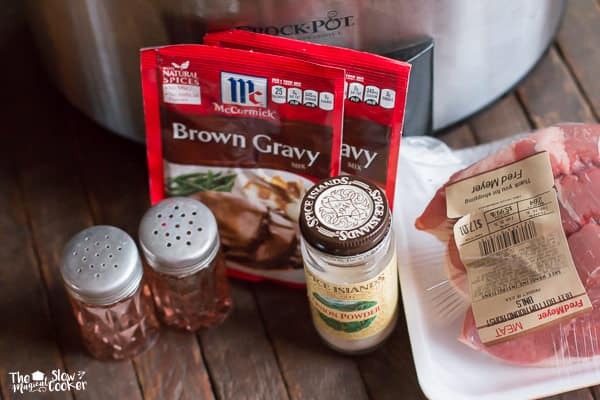 I have tried thus several times..I actually double the gravy recipe, all in all awesome recipe! My family LOVE it! Quick easy and I can put it on before I leave for work and ready when I get home! The chicken one is fantastic as well…yum! That’s great Kim! Extra gravy is always great! I miss my mom’s hot roast beef sammies with leftover roast pieces. This reminded me of that warm memory, thanks. Pinning it. Bottom round doesn’t seem like a very good choice for shredding beef. Bottom round shreds the easiest for me, has no fat between the sheds and falls apart. Yes it won’t shred if you don’t cook it long enough.